Pyreos, a manufacturer of miniature, rugged, pyroelectric, mid-infrared sensors and detectors which respond faster and minimise power consumption, and Mouser has announced a new global distribution partnership. This further extends the availability of the Pyreos advanced infrared sensor solutions for multiple applications, including gas and fire detection, food safety, medical, fuel and oil analysis. 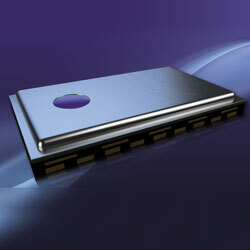 The company’s products include linear array sensors, single, dual and quad channel analogue TO-39 packaged sensors, and their latest ezPyro product family – the digital MIR product range of what is claimed to be the world’s first surface mount pyroelectric sensors for gas and flame detection and food analysis.